If you're looking to make home improvements, pay for your kid's college education or pay down credit card debt, a home equity loan or line of credit can be a cheap way to borrow money. Just be aware that the cost advantage home equity lines of credit, or HELOCs, have long held over home equity loans is probably coming to an end. The average cost of a fixed-rate home equity loan is 5.90%, according to our most recent survey of major lenders. A home equity loan requires you to borrow a lump sum all at once and requires you to make the same monthly payment each month until the debt is retired, much like your primary fixed-rate mortgage. It's generally been a better choice if you want to borrow a specific amount for a big one-time project and you want the security of knowing that your interest rate will never change. 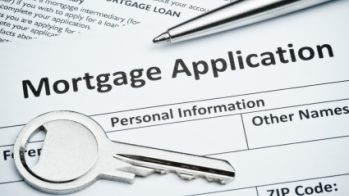 HELOCs allow homeowners to borrow against the equity in their homes on an as-needed basis. You pay interest only on what you borrow, and the average HELOC currently costs 6.75%. But these are adjustable-rate loans based on the prime rate — the floating interest rate banks charge their best commercial customers — plus an additional fixed rate. They were incredibly cheap for about eight years while the prime remained at a six-decade low of 3.25%. But when the Federal Reserve started pushing interest rates higher in December 2015, virtually every bank immediately added a quarter of a point to their prime rate, raising it to 3.50% APY. And now it stands at 5.50%. So if a bank currently offers you a HELOC at 6.75%, it's charging you prime plus a fixed 1.25 percentage points. Based on the Fed's official projections, the typical line of credit could hit near 7% sometime in 2019. While that's still going to be a bargain compared with credit cards or other personal loans, whose rates will also go up, it will be less of a bargain than it is today. 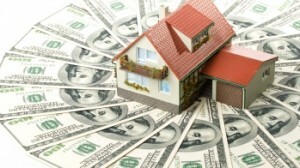 Anyone thinking about a home equity line should be aware that higher rates are on the way. In fact, if you have an existing home equity loan, you should consider refinancing it at a low fixed rate while you still can. Whether you choose a home equity loan or a HELOC, you'll qualify for the best rates and biggest loans with a credit score of at least 740. And with property values rising across much of the country, only about 1 in 10 homeowners with a mortgage remains underwater, owing more on their loans than their property is worth. That means many borrowers who didn't have enough equity in their homes to qualify for a second mortgage have a better chance of being approved. Lenders require that borrowers maintain 10% to 20% of their equity after taking the loan or line into account. To figure out how much you can borrow, subtract the balance you owe on your mortgage from what your home is currently worth. If, for example, your home is worth $200,000 and you owe $140,000 on your first mortgage, you'd have 30% equity, or $60,000. If the lender required you to retain 20% of your home's value, or $40,000, your home equity loan or HELOC would allow you to borrow a maximum of $20,000. You can borrow as little as $5,000 through some credit unions and regional banks, but many lenders won't extend a loan with a limit of less than $10,000 or even $25,000. Another recent change is that some of the nation's biggest lenders have stopped offering home equity loans. Instead, they're offering home equity lines of credit with the option to take a fixed-rate advance on part or all of your credit line. That means you can combine the advantages of both types of loans. 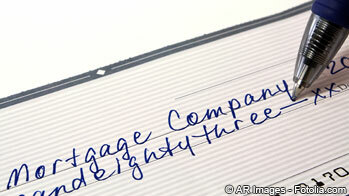 Many lenders are offering home equity loans and HELOCs with no closing costs. The only catch is that if you close your account early — usually within the first 24 or 36 months — you'll have to reimburse the lender for those expenses. Besides the interest and early-closure costs, you might have to pay an appraisal fee and an annual fee. Some lenders waive these fees or offer interest rate discounts if you have other products, like a checking account, at the same institution. Make sure you know exactly which fees your bank or mortgage company is charging, and how much they are, before committing to any loan or line of credit. Dodging these pitfalls will make you a happier home buyer now and more satisfied homeowner down the road. You'll know that you got the best possible mortgage and won't be overwhelmed by unexpected costs. It's also important to understand exactly how these loans work and how the minimum monthly payments will be calculated. Your home acts as collateral for this type of borrowing, and if you default on your payments, you could lose your residence. A HELOC only allows you to tap the line of credit and borrow funds during what's called the "draw period" over the first five or 10 years of the loan. 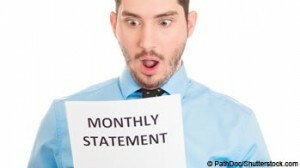 While the credit line is open, the minimum monthly payment only covers the interest charge on the outstanding balance. Some lenders let you pay 1% or 2% of what you've borrowed as an alternative to interest-only payments. In the sixth or 11th year of the loan, the line of credit is closed and a new fixed monthly payment forces you to begin repaying however much you've borrowed — or in lender-speak, the principal — plus interest over the next 15 to 20 years. Experian, one of the three major credit-reporting agencies, estimates the typical monthly payment increases almost 70% when HELOCs reach that point. It's also important to know that lenders can freeze or reduce your line of credit if your home drops in value or your financial situation changes. That credit may not be available when you need it. With a home equity loan, you only get one shot at borrowing: when your loan closes. You'll have to apply for a new loan or line if you want to borrow again. But you are guaranteed that initial sum. The interest for both HELOCs and home equity loans is generally tax-deductible if you itemize your deductions on Schedule A and if your home equity loan balance is $100,000 or less all year. 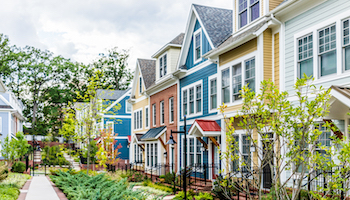 For most homeowners seeking to borrow from their equity, a home equity loan is a lower-risk option than a HELOC, which in today's market looks likely to get more expensive shortly after you take it out.